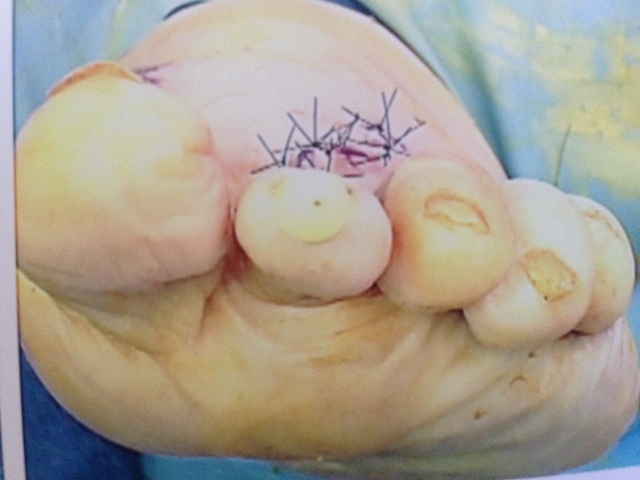 Tearing of the ligament (plantar plate) on the ball of the foot. Connective tissue disorders (i.e. rheumatoid arthritis, psoriatic arthritis). 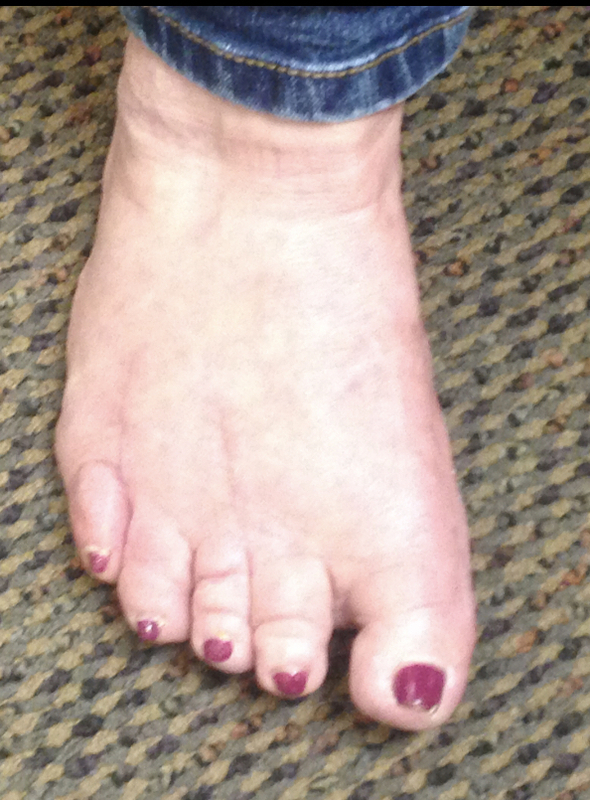 Space between second and third toe while weightbearing. Unable to wear heels without pain. Taping of the toes to lessen the deformity (may lessen the pain temporarily but not change the deformity). Stiff-soled shoes to prevent toe bending. Flat shoes to lessen the stress on the second toe joint. 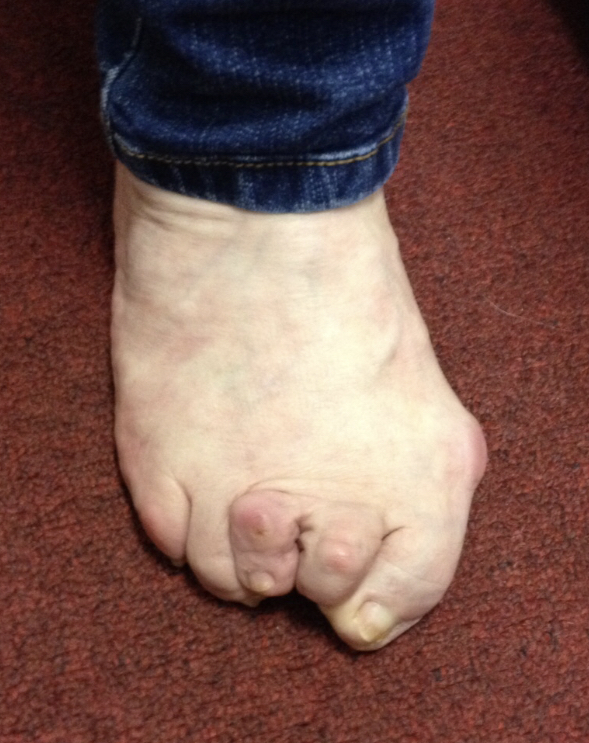 Below is a photograph a a severe overlapping bunion and hammertoe deformity. 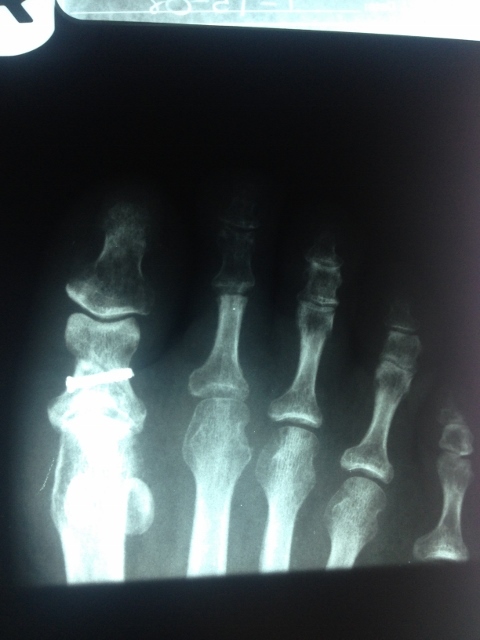 At this point in the mechanical process the digits, especially the second digit, is dislocated from its articulation with the longer bone in the foot called the metatarsal. Severity of these deformities is multi-factorial involving genetics, altered mechanics with soft tissue contractures, and bad shoegear. 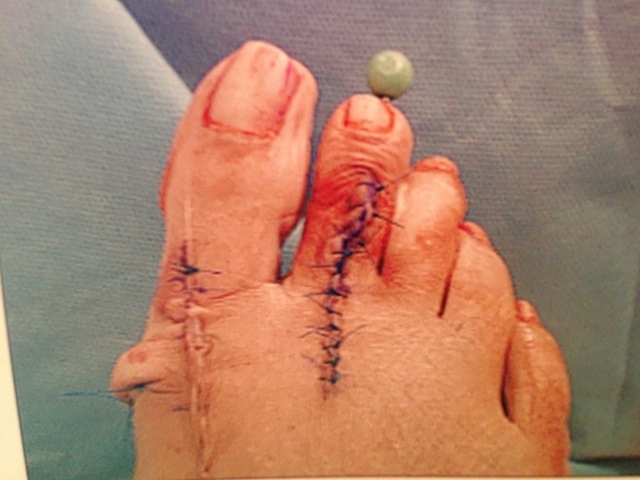 Pictured above is a foot after surgical correction of the bunion deformity of the great toe and hammertoe correction of the second toe. 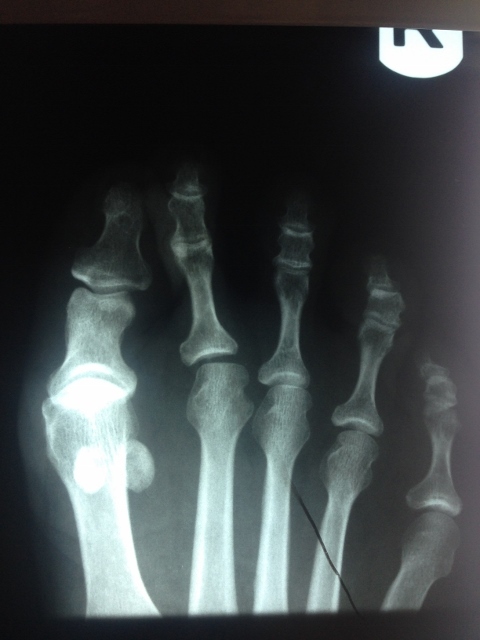 The plastic balls at the top of the second toe is covering a wire that holds the position of the second toe into the longer bones (metatarsals) of the foot so that the soft tissue contractures heal in the correct place. 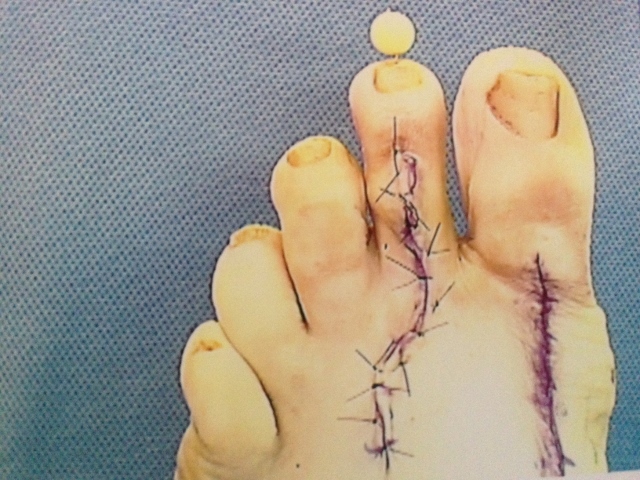 Depending on the deformity, the wire will stay in place for a period of 4-6 weeks and then are removed.